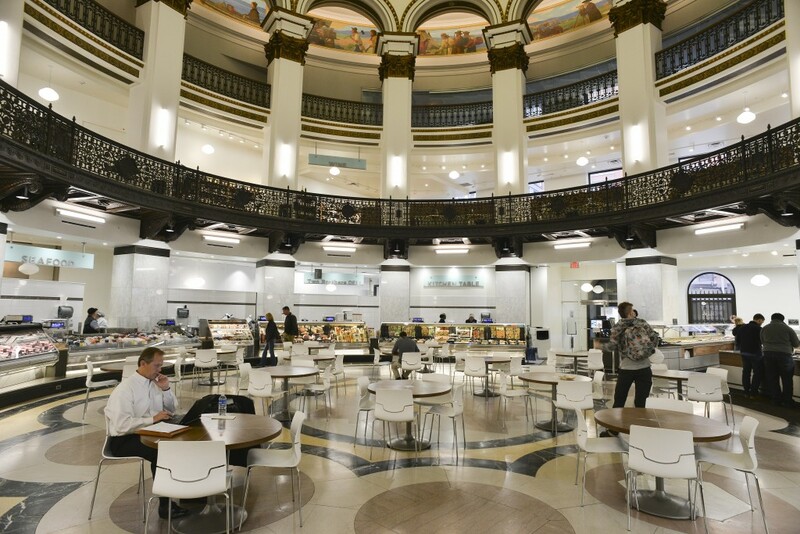 This past February, Heinen’s opened a grocery store in the historic Cleveland Trust Building downtown Cleveland. The former financial building was erected in 1908. It’s the only grocery store in the core, which is seeing a massive influx of residents as vacant buildings are converted to condos and living space. The store, a $10-million investment by twins Jeff and Tom Heinen, consists of a 27,000-square-foot supermarket, lunch counter and wine and beer boutique. Heinan’s grocery store in downtown Cleveland. It’s located in the former Cleveland Trust Bank building.